Cindy Miller has had a lifelong relationship with music. After many years of formal training on flute, guitar, and piano, the ukulele is her most recent instrumental adventure. She is currently one of a handful of New England ukulele instructors pursuing formal certification through the James Hill Ukulele Initiative in Toronto. Cindy is an active member of the Zukes Ukulele Orchestra, based at the Zeiterion Theater in New Bedford, and has played with The Mighty Uketones, as a visiting performer with the Massapoag Ukulele Group, and the Walter Baker Choco-leles. Cindy has performed at the Cape Cod Ukulele Festival, the Ashokan Ukulele Festival, and for numerous community events and non-profit organizations as a performer and director of the Unlikely Strummers, as well as coffeehouses, open mic nights, and community events around New England. Cindy co-founded The Unlikely Strummers in the spring of 2017. 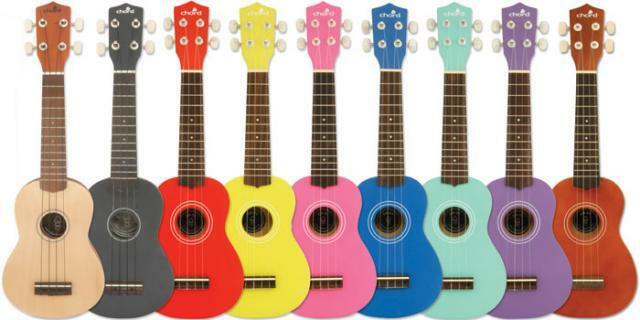 She looks forward to spreading "ukulele love"!